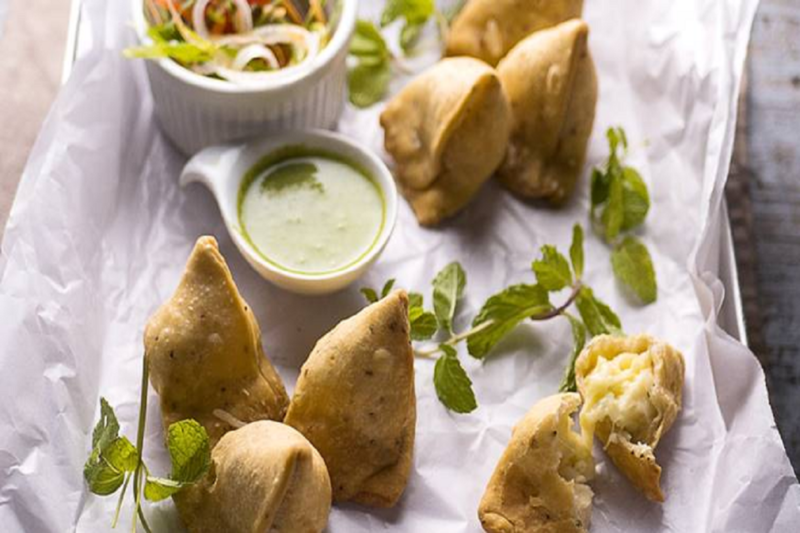 Holi 2019: No Indian festival is complete without indulging in some finger-licking food and drinks. With Holi just around the corner, we have curated a list of delicious Holi recipes that are sure to add warmth to your colourful celebrations. The festival of colours, that is celebrated every year on the day of Purnima, falls on March 21 this year. Enjoy! For making this dessert recipe, mix maida, corn flour and baking soda in a bowl. Add ghee and orange food colour in the above mixture. To make a thick batter, add curd and water. Mix well until it is thick but has a pouring consistency. Keep it aside for 8 hours or overnight. To make the sugar syrup, heat water in a pan over medium flame. Add sugar and mix until fully dissolved. Simmer the syrup until it attains one string consistency. Add saffron, cardamom powder and rose essence. Stir well. Heat oil in a pan over medium flame for deep frying. Now fill the jalebi batter in a muslin cloth and pierce a small hole in it. Squeeze the muslin cloth to make concentric circles. Fry till jalebis are crisp and golden. Soak the jalebis in sugar syrup for 2-3 minutes. Ensure that the sugar syrup is warm and not very hot. Now remove from the syrup and place it on a tray lined with butter paper or foil. Decorate with silver foil and serve the jalebis hot, warm or at room temperature with creamy rabri. Serve hot jalebi along with milk. Boil the potatoes and cook until soft. Meanwhile, fine chop green chilies, coriander and grate the cheese. Once the potato is cooked peel them carefully and grate. Now, melt butter in a pan on a low flame and add chopped green chilies and toss it. Quickly add the grated potato and mix well, cook until the mash is steaming hot. Add salt and coriander, remove from the flame and let it cool. Once cooled, mix in the grated cheese (processed and mozzarella cheese). Mix all the ingredients together until dough becomes dry and flaky. Prepare small dough balls and roll it into chapattis of about six inches. Cut chapattis into two halves. Take mixture for stuffing at the center and fold inside. Seal from all edges and prepare triangle samosa fold. Roll in the naan dough in triangle shape and half-cook it in the tandoor. Spread makhani gravy and cheese on top. Add chicken and onion rings as toppings. Lift the pizza base using a shovel and place it in the pizza oven. Cook the pizza in the oven pre-heated at 240*C for about eight minutes. Once cooked, remove from the oven and place on a cutting board. Using a pizza wheel, cut it into eight uniform wedges. Serve hot on a pizza plate sprinkled with coriander. Sieve the flour. Mix the maida with oil. Using fingers, mix well so that it takes the form of bread crumbs and binds to a certain extent. Mash the khoya and fry it in a kadhai till it turns light brown in colour. Add almonds, cashew, coconut and raisins. Fry for two minutes. Allow it to cool. Divide the dough into small balls and roll each ball into a small round of four-inch diameter. Fill half the round with the khoya mixture and with sweetened rose petals (gulkand). Arrange on a plate and cover with chandi verk and pista.